Kristi first earned a Bachelor of Science in Human Ecology from The Ohio State University in 2012. From there, she went on to complete a Master of Science in Physiotherapy from Glasgow Caledonian University in Scotland. During her studies, she gained experience in a wide variety of physiotherapy roles particularly musculoskeletal and has since focused her work within the private sector; with the majority of her experience in the area of occupational health. Kristi believes in a holistic approach to physiotherapy due to many conditions being multifactorial in nature. With a background in case management, she has experience in the areas of nutrition and mental health, and how these can impact musculoskeletal conditions. With this in mind, she can look to assess the involvement of other factors and provide advice in which to support her patients in their all-around wellbeing. She is a firm believer in open discussion with patients, in which to educate and explain their conditions, with the emphasis being to involve them in their treatment and overall continued management strategies. While Kristi has had experience in various areas of physiotherapy, her interest lies within the musculoskeletal setting. 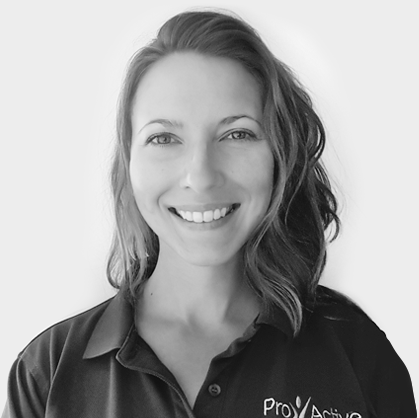 She is a firm believer in manual therapy in conjunction with a variety of treatment approaches to ensure full rehabilitation is achieved for her patients. Outside of the clinic, Kristi enjoys sports and physical activity alongside spending quality time with her husband Richard; watching movies, playing video games, travelling, camping, and indoor rock climbing.